1. 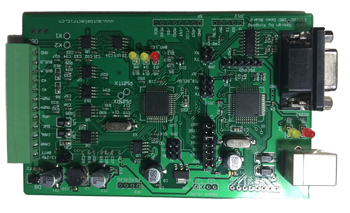 User's target board can be directly connected to the development board for the futher development. 6. 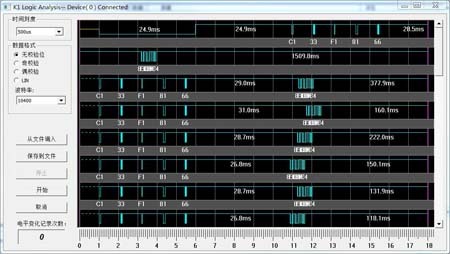 Well-functional K-line logic: When diagnostic tester communicates with ECU (Electronic Control Unit), the initialization timing of specific diagnostic tester can be easily obtained. 1.K-line has been extensively used in vehicle diagnosis due to low unit price of communication node, however, specific diagnosis has no mandatory standard except for OBD2 function, and there is no general standard for manufacturer in the initialization process prior to the communication, the vehicle bus analyzer is unable to record the triggering process in the process of initialization. 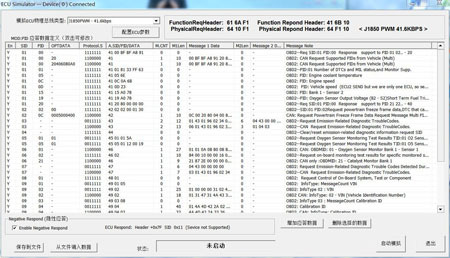 Previously, logic analyzer was the only alternative, but its communication with vehicle enabled by function of data analysis was not so user-friendly because of complex usage and limited storage. This software is a good solution to this problem at nearly zero cost. And it is user-friend with no data leakage. Theoretically, it allows for infinite records. 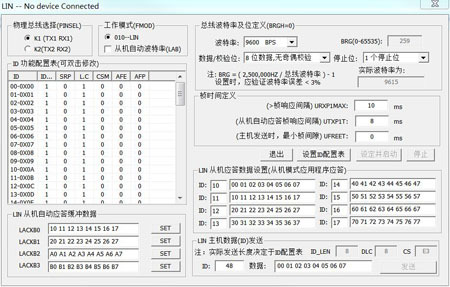 All times are visible and clear in K-line working, which gives a lot of help for user to understand ISO14230, ISO9141, LIN, J1708 or other K-line work timing. 1. As a terminal to Data transceiver for all Protocols.